After enjoying all your holiday festivities, the last thing you want to think about is work. But, as much as we all wish it could be Christmas every day, unfortunately the festive fun must come to an end and we all must head back to work. Whether you took a long break from work over the Christmas period or just a few days, getting back into the swing of work is always a challenge. 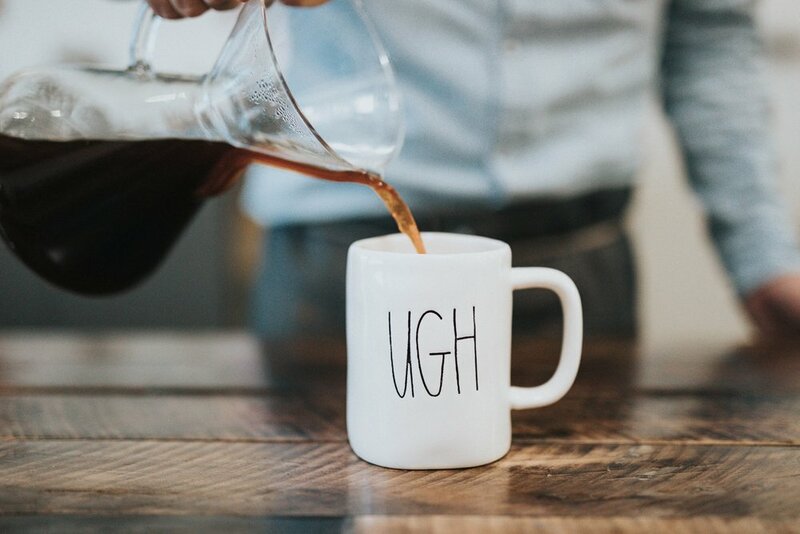 But, I’m here to shed a little light and fill you in on how you can make the first day back at work that little bit easier. Below are some useful ways you can prepare yourself to make jumping back into working life as easy as it can be! Having something to look forward to, even if it's small, will give you some motivation to get through the first day of work. The first day is always the hardest, so once you've tackled that, you’ll find it easy to get back into the swing of things. Whether it’s a new planner that you are looking forward to using or a new challenge you have set yourself, having something you’re excited about will give you that little boost of energy and motivation you need to get out of bed in the morning. If you have spent the holidays sleeping and relaxing with no routine what so ever, getting back into your working routine can be a challenge. So, if you know you have to be up at 7am on Monday morning, try setting your alarm for that time a few days before you have to go back to work. This will soften the hit of your alarm going off on Monday morning and make adjusting your body clock back into work mode a little easier. The overwhelming feeling of having what seems like an endless list of tasks stored in your mind will stress you out and make you DREAD the day ahead. Write down everything you need to do, so you can tick them off as you go, and keep your mind clear and stress free! 4. Pick a killer outfit! We all have that one outfit that makes us feel confident. For your first day back at work, pick your nicest outfit, lay it out the night before and you will be excited to get out of bed in the morning to put it on! It may sound silly, but when you like what you are wearing, not only will you be excited to get into work to show it off but you will feel more confident and therefore be more productive throughout the day. Research shows that how we dress for work affects our productivity, so make your first day back at work outfit a good one! The dreaded Inbox! For most of us, this is what we dread most after returning from a break or holiday. Removing this dreaded task from your list of to do's for your first day back at work will make that first day back that little bit more enjoyable. So, give yourself an hour or however long it may take to sort your emails - Delete anything you don’t need and file the rest. This will make the important emails easy to find, so you can use your time efficiently to reply rather than wasting time sorting through hundreds of irrelevant emails. Do you have any tips on getting back into the swing of work? We’d love to hear them!